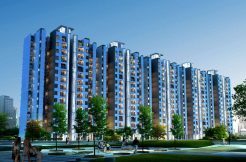 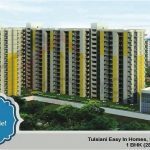 In addition to that Global Heights sector 33, Gurgaon comes under affordable housing Scheme in sector 33 Gurgaon. 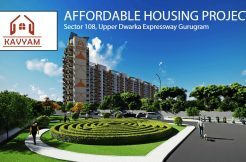 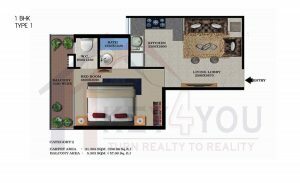 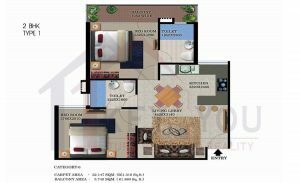 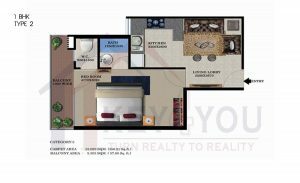 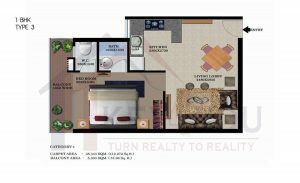 Global Heights Gurgaon is offering floor plans for types 1 BHK and 2 BHK under the best and cheap flats in Gurgaon. 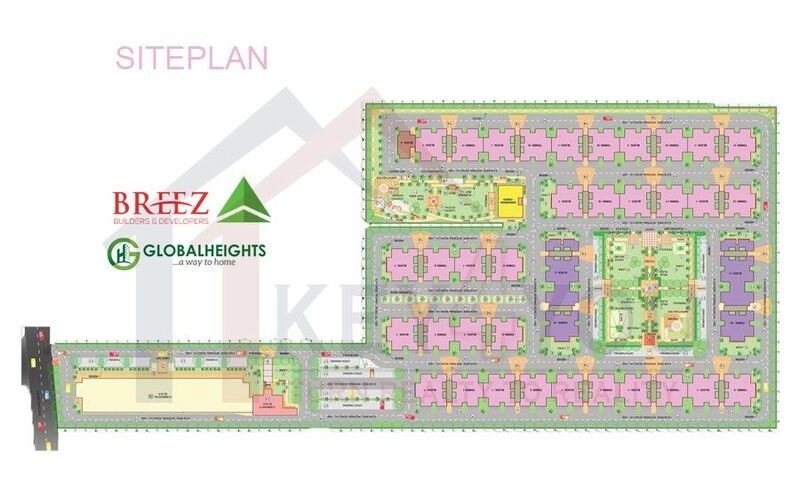 Furthermore, the architecture of Breez Global Heights Sohna will allure your senses with resort like landscaped gardens. 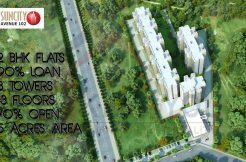 All the other amenities like car parking, visitors parking are also available in Global Heights Sector 33. 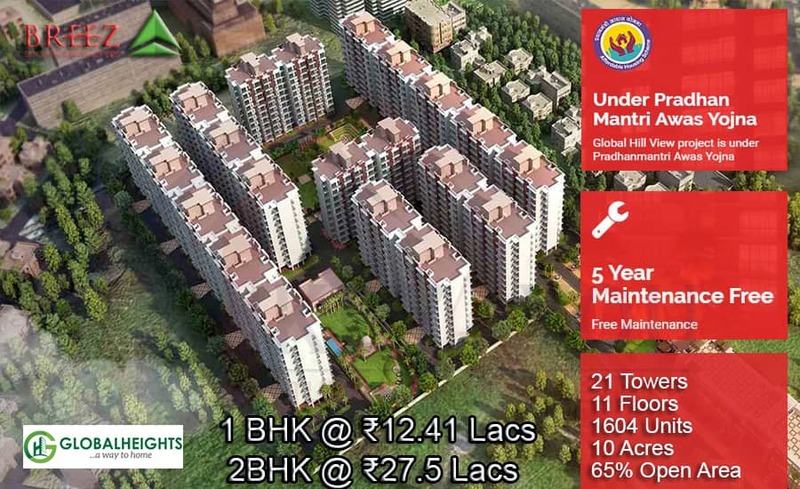 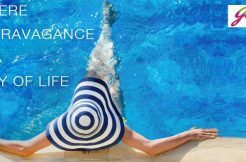 Get ready for a better life at reasonable cost inside the Global Heights Sector 33 Sohna. 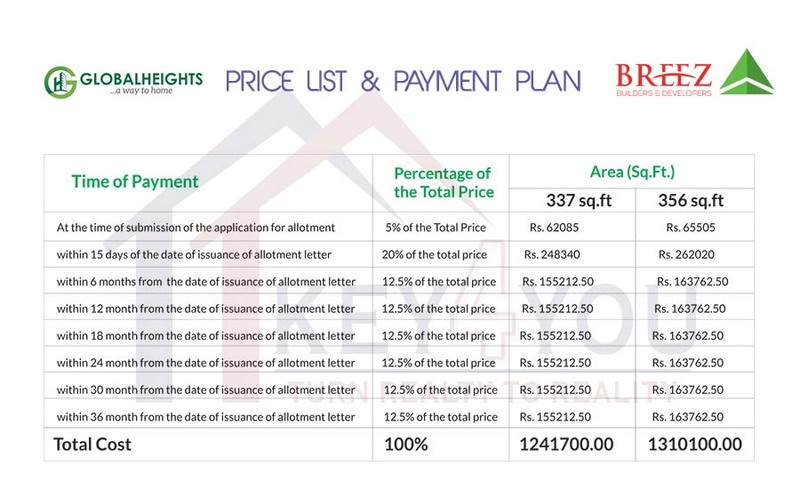 Breez Global Heights Gurgaon becomes one of the best affordable housing projects in sector 33 Gurgaon because of its payment plan also. 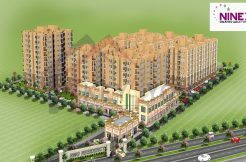 By all means, Global Heights sector 33 Gurgaon satisfies the needs of a common man in a great way. 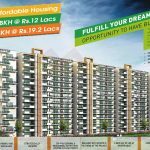 Global Heights Sohna is well architected by the best professionals and is approved by all NOC, Environment Clearance, Forest Clearance, AAl etc. 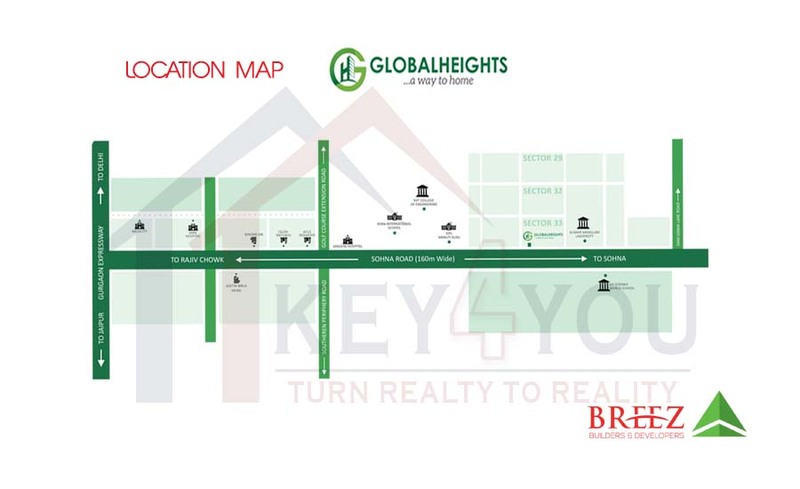 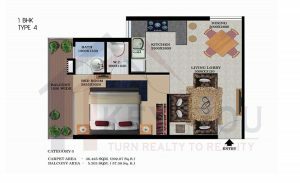 Global Heights Sector 33 very near to KMP Expressway Road as well as the upcoming IMT Sohna. 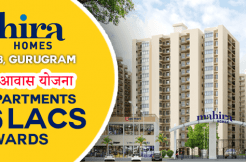 HUDA Approved by Haryana Govt. 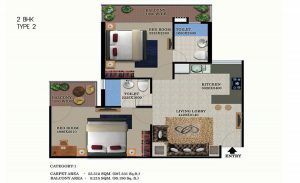 Dining/Bedroom Flooring: Vitrified | Ceramic surely.